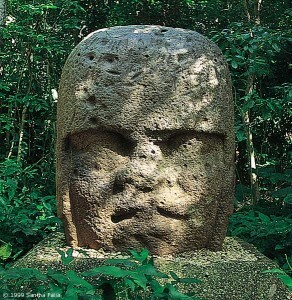 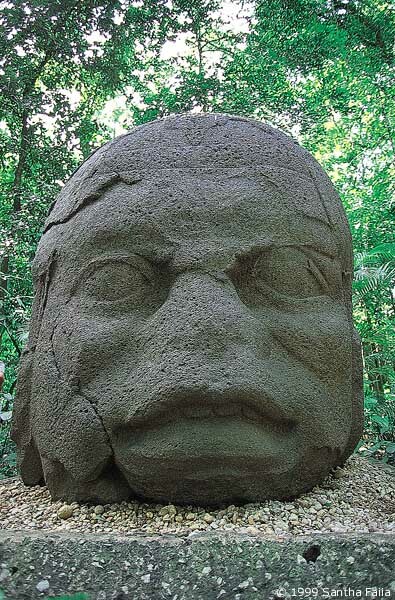 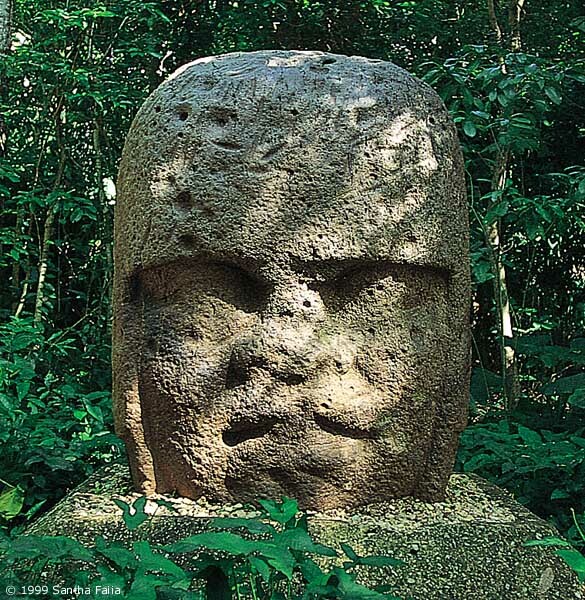 'Olmec' head from la Venta, Gulf of Mexico, approximately 1500 BC. 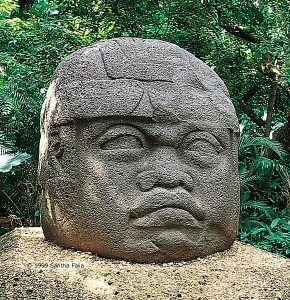 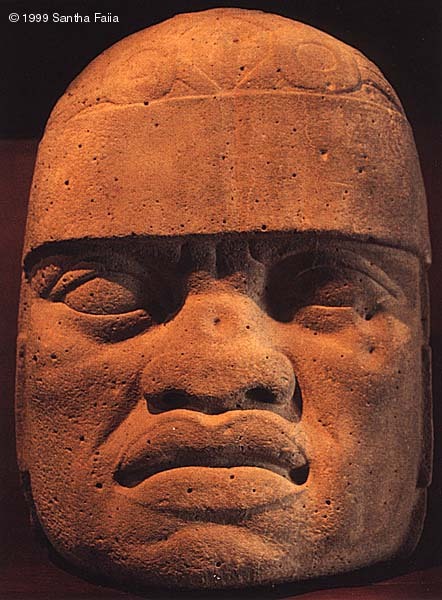 Current theories of racial dispersal cannot explain the presence of this negroid face this early in the Americas. 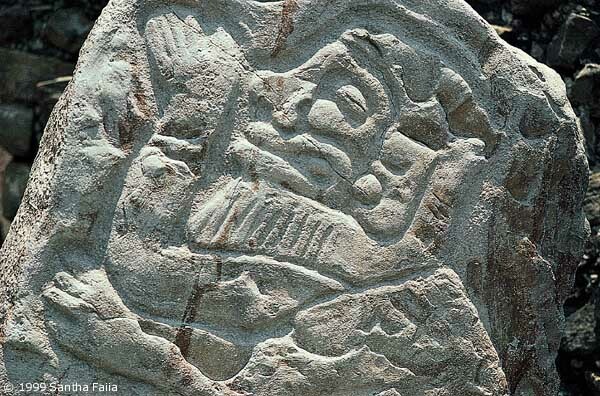 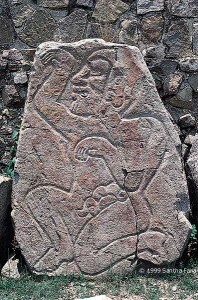 Image of bearded Caucasian from Monte Alban. 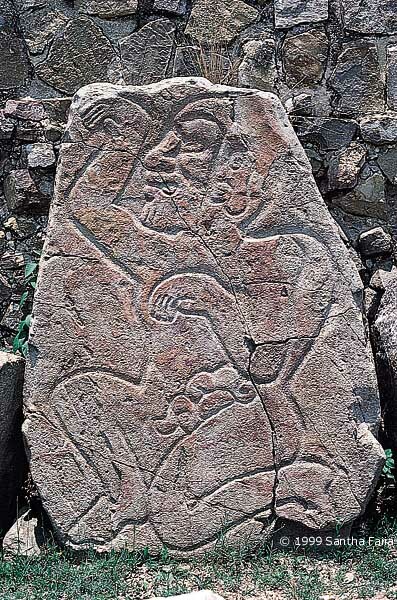 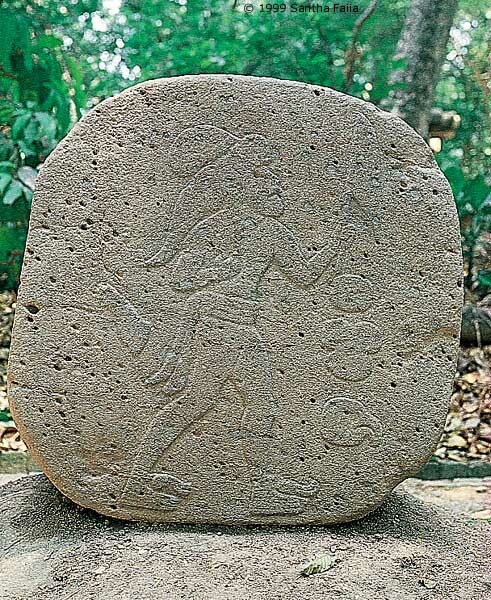 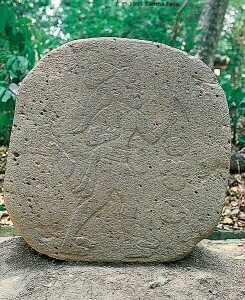 Figure from La Venta known as 'the walker', seeming to show a bearded man with Caucasian features. All photographic images are copyright © 1999 Santha Faiia. None of the images may be reproduced without the prior written permission of the copyright holder.